We see different colors because on a molecular level, different chemical bonds are happening that yield a different wavelength of light being reflected from the surface. UV rays wreak havoc on these chemical bonds, ultimately breaking them down. When the bonds break, colors begin to fade in an effect that is similar to bleaching. This form of breakdown is slightly different than fading but equally unappealing. At its most basic level oxidation is a loss of electrons from the atomic structure. The result is a washed out, brittle substance that has little resemblance to its non-oxidized counterpart. To get a mental picture – think of rust. The red-brown powdery substance didn’t grow on iron; it is iron (minus the electrons). As the molecule loses electrons it undergoes a chemical change. UV rays accelerate the oxidation process in almost all surfaces, including your car’s paint. Seeking out a covered parking space is the easiest way to protect your car’s surface. Find the single tree in the mall parking lot, use covered parking, clean out your garage. If you do park under trees be sure to pay attention to the next tip. You got this talk in high-school didn’t you? There are plenty of products on the market from natural waxes to synthetic paint sealants that will combat UV rays on your behalf. Waxes need to be applied every 3-6 weeks, while paint sealants can last for 3-6 months. This is only practical if you have no access to covered parking and only use your car infrequently. If you check those boxes though, it’s a great investment. If you treat your ride like a member of the family, a professional whole-body protective film could be the best decision. These films not only provide UV protection, they make cleanup easier and even protect against chipping and scratching from road debris. Some films are commercially available, but we recommend consulting a professional. UV damage can happen in as little as a few weeks under the harshest conditions, and while some of it can be corrected it’s often irreversible. 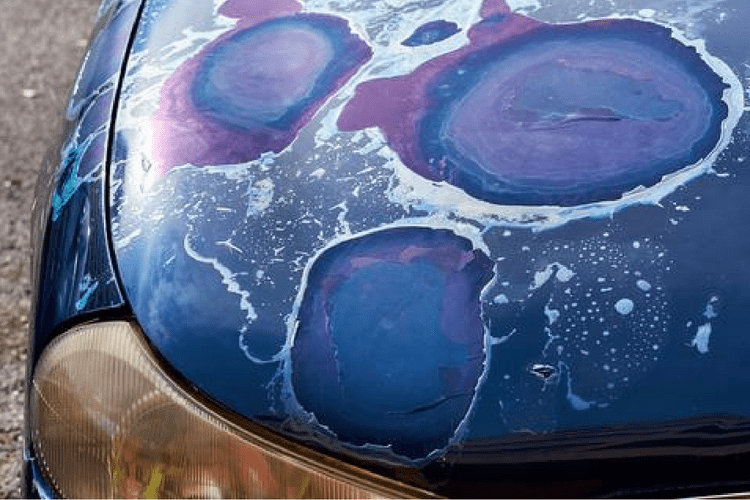 You may not be an automotive enthusiast, but know that the condition of the car’s paint is among the top 5 factors in resale value. Damage from fading or oxidation can slice 10-20% off of the value of your used car, so go ahead and fight the rays! What steps do you take to protect your car’s paint from the sun? Tell us in the comments! 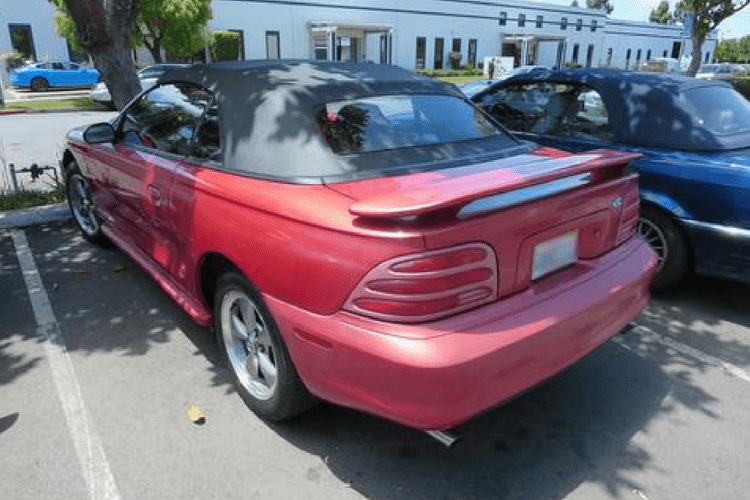 I would definitely like to try this on my 2006 bmw 325xi since the hood is slightly damage from sitting in the sun before it gets any worse.